Having got the DJ world somewhat excited at the potential of a full 4 channel MIDI controller, American Audio have garnered a huge amount of attention for their eagerly anticipated VMS4. But one thorny issue has been the software that powers it. But this has been resolved, and in some ways makes it even more versatile now. VirtualDJ LE is now the software of choice and now offers a degree of video capability at a near entry level price. Being a very old school beat maker, you can imagine my abject delight at playing with Maschine for the first time. Sadly however, the radically addictive nature of NI's beat maker was such that I reluctantly despatched it to my reviewer who dissected it in detail and came up with a heap of constructive criticism as well as solid praise. But now the software update is upon us, and NI have listened to user comment to bring it to the level of maturity people have cried out for. And it's a free update too. iPad - the new fad or pad you want bad? My thoughts about iPhones as DJ hardware alternatives are well known round these parts. 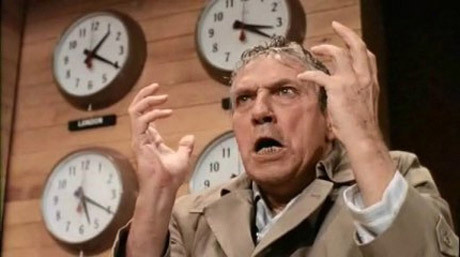 But everything is about to change with Apple's iPad. Now instead of attempting to cram a full setup into 3 inches of screen real estate, the iPad now offers a genuinely valid lump of hardware for DJs. Hell even I've become a paid up iPad developer and will be grabbing one should they ever make it to the UK. But "Destroy The Silence" has been set up to test the theory of DJing with just iPads. And as the above video shows - it's more than possible. I hate stories like these, but it seems incumbent on me to report bad news on an all to regular basis. 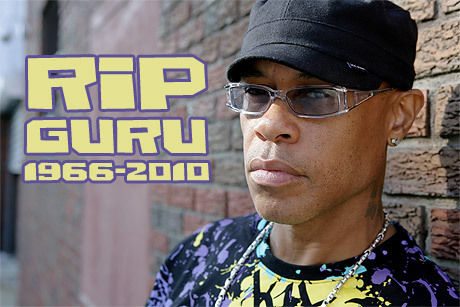 This week comes the shocking death of Guru from Gangstarr. He's been ill for some time after suffering a heart attack and being in a coma. But the inference from his friend and manager Solar was that he was getting better - hence the shock statement. Another week another competition. 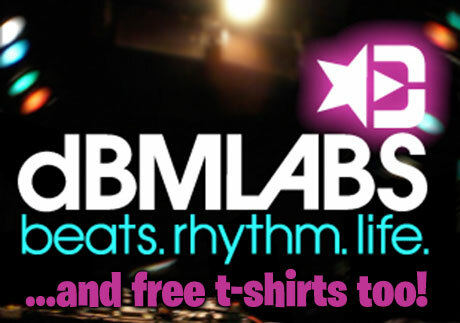 This time, DBM Labs are offering up more booty from their range of DJ oriented clobber. And all you have to do is take the shortest ever survey - just one answer is needed, so even the most hardened of lazy readers can surely be bothered to drop a line to them in return for some freebies. You can can't you? 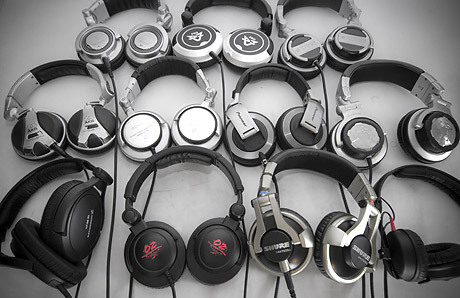 Just before I popped off for a week, I announced the next massive headphone group test. I also did a little but of last minute rallying via Twitter and got some extra pairs in the test, as well as word of those that won't quite make it this time around, but will appear at a later date. I'm back. A week off doing the traditional UK bank holiday pastime of decorating has seen the skratchlab descend into chaos, a key influence on who I am die, and DIY yielding a slightly cleaner looking kitchen but left me with a sofa lifting induced back injury. Indulge me for a second as I take off the holiday hat and put on my writing one. I'm quite sure than not one of you cares a jot for my freshly painted walls or architectural lighting, so I won't bore you with that at all. But I will briefly talk about Malcolm Mclaren. 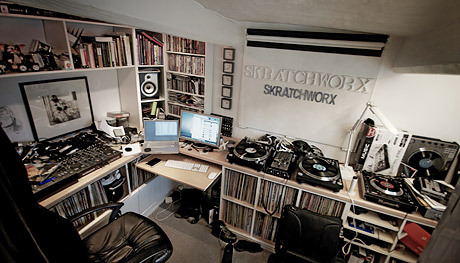 Some time ago, I worked out that at the current rate, Scratch Live would reach v2 in expansive time of 5 years. Clearly this scared the living crap out of Serato, thus decided to ramp up development and reduce this down to 9 months. Weeeellll� perhaps it was nothing to do with anything I said at all, but v2 is all out of beta and very much ready for you to use. Set yourself aside a quiet moment and read the extensive list of new stuff as well as changes. And it's all for free too. 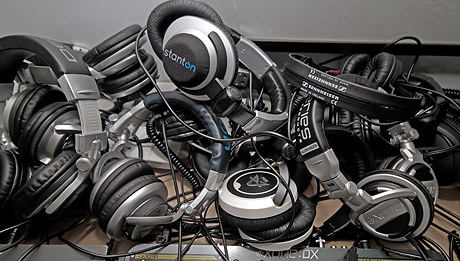 As technology marches forward, some choose to stick to their chosen DJ weapon of choice, while others reach the top of their tree but feel the need to be challenged again. One such soul is Woody aka Woody Madera. 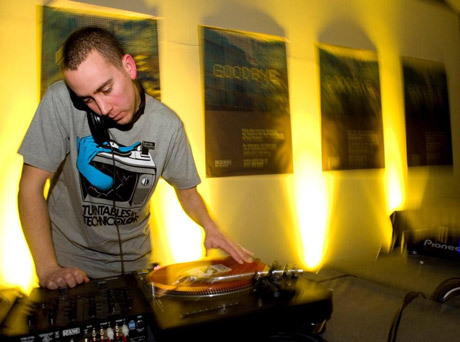 Having established himself as a key player and many times world champion in the turntablist market, he's now returning to his graphics roots and putting those skills to good use with in conjunction with Serato's Video-SL plugin for his "Turntables in Technicolor" project. And you can win suitably splendid t-shirts celebrating the launch, as well a being the official act for the upcoming UK DMC heats. After the Easter break (taking next week off), I'll be starting the well overdue overhaul to the original headphone group test. It was going to be a lot smaller, but as I started to plan it out, I realised that if I was going to do this, I should do it to the standard expected by you dear readers. So that's exactly what's happening, and if any manufacturer wants their headphones in this group test, they have 1 week to get a pair to me. I like to think that the people who visit here are intelligent readers wanting to offer polite and enlightened comment to news stories. But I'm not alone in noting that recent comments have taken a very negative turn. People randomly feeling the need to unload hate on a particular product - dissing DJs in videos and other posters - all of which is really unnecessary and doesn't add to the skratchworx experience. Finally - the server recovered from whatever breakdown it was suffering and I'm now in full possession of the multi-angled American DJ VMS4 demo by Berlin's very own DJ Freshfluke. It starts with some mellow hip hop mixing and kicks into demo mode at around 3.30. Native Instruments are a big company, with some big brands too. Arguably the biggest (at least in our scene) is Traktor, and brand loyalty is strong within the community. Given that at any one time, Traktor is neck and neck sales wise with SSL in Europe (according to my info), you'd understand that the heaving masses of Traktor users might want some branded merch to show off. There has been a small amount of control vinyl released, but a bag has been requested for a looong time. 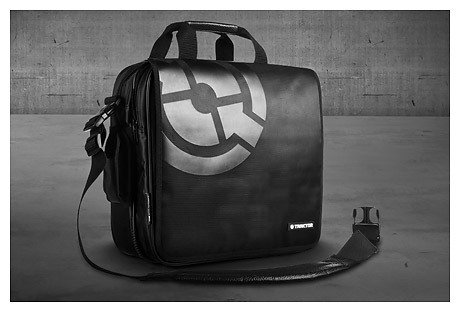 And finally it's here - the Traktor Bag by UDG. The ability to use just your computer alone to rock a crowd is nothing new at all. But the level of control offered was a tad limited, so a return to physical controllers was inevitable. But Inklen - makers of MIxEmergency - have thought a little differently and realised that there is another way to control your DJ software and have come up with an all new technology. Only a company with vision could come up with a control solution based on� ummm.. vision. Behold the wonder that is eyeCanDJ.